We made the decision to include a standard 802.3af PoE injector to make things easy on you. 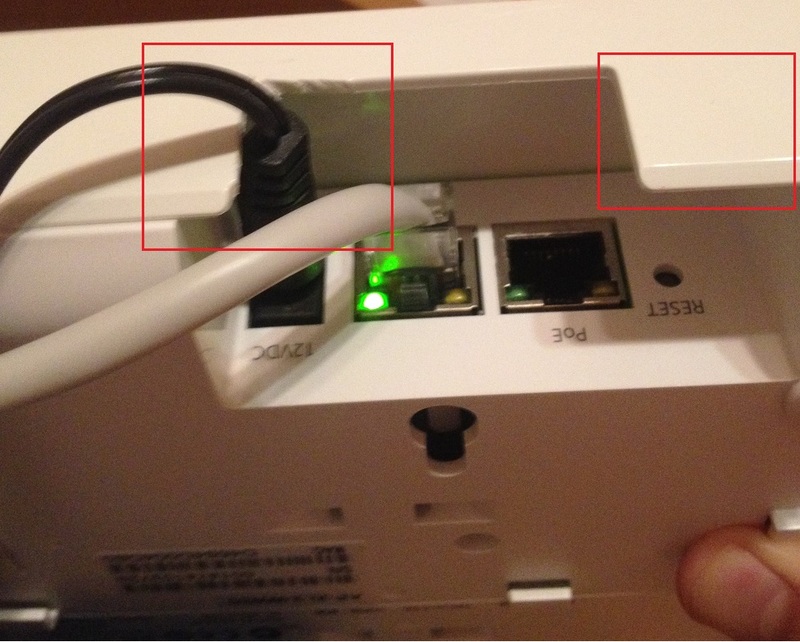 Its NOT proprietary and you can choose to use a regular PoE switch if you like. However, this basically functions like a long extension cord. You can get whatever length of CAT5e cable and put the AP where you like (well, less than 100m). Certainly more useful than a 6ft power cord. Let us know your feedback on if this is a good thing. For any install where there is no nearby power, especially ceiling and wall mounted locations, the POE injector is greatly appreciated. Got our test units today, and I gotta admit I was impressed to see a POE injector being included in the box! The injectors I use for the Ruckus line cost me about $40. It's realy cool to find poe-injector in a box with AP, but my wish for the future - to include also a power supply if possible. By the way, interface for power supply is very hard-to-reach. We can "sell" right angle power adapters for someone that needs them. We figure the use case around PoE injector is much stronger. The reset button is supposed to be hard to access to prevent random access (unless you have the magic bent paper clip). Hey guys, am I the only one who received a new xi-2, with its POE injector...but without the cord that connects the injector to the wall outlet ??? I have yet to have anyone report missing a power cord. If you are international it should have been a question of what type to be included. In US, its standard plug. I had them with my initial units : a Xi1 and a Xi2. I was going to say that most places that these APs are targetted at will not have a PoE switch, but each unit comes with the PoE injector so that shouldn't be an issue. Why not use that instead of the AC adapter? My Xi-3 (US) also arrived without a PoE injector power cord. Is it still the case that it should come with one? If so, how can I go about obtaining it from Xclaim (I've tried the email help channel and haven't gotten a response in 3 business days). If not, how can I go about obtaining a compatible cord elsewhere? Our operations team will reach out to you ASAP. Ordered the Xi-3 (Canada) from your direct store and also didn't receive a power cable with the PoE injector. Tossed in the shipping box was an adapter from Euro to US style plug though which is obviously useless when no cable is included. Thanks for contacting us. All XCLaim access points purchased directly from our store outside of US do not come with the power cable. That would have to be purchased separately. Sorry about the inconvenience.